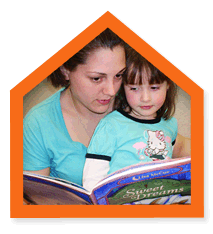 Mount Kisco Child Care Center meets the developmental needs of all of the children in our program. We work closely with Early Intervention and local school districts to provide additional support services for any child who qualifies for them. In addition, we collaborate with the Children’s School For Early Development. A team consisting of a special educator, a special education teacher assistant, a regular educator and regular education teacher assistant, a speech therapist, an occupational therapist and a physical therapist will provide services that support the children. This classroom operates from 8:30-1:30 and follows the Bedford Central School District Calendar. This is an integrated preschool classroom serving children between the ages of 3 and 5. There are 9 typical and 6 special education children enrolled.